This book summarizes the functional status of the sympathetic neural system in cardiological diseased states and highlights aspects of sympathetic neural activity that are important to an overall understanding of the pathophysiology process. Critical reviews of methods for evaluating sympathetic activity are discussed, existing data is closely scrutinized, and attempts are made to delineate the factors derived from increased sympathetic activity. 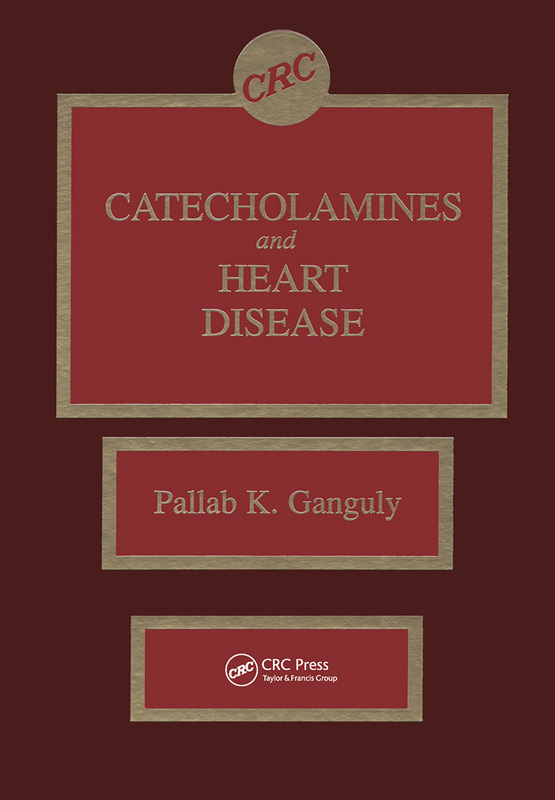 The book provides a physiologically and clinically based approach to the investigation of the involvement of catecholamines in cardiovascular diseases, which makes it a valuable addition to the reference collections of researchers, clinical scientists, and graduate students. Cardiac Sympathetic System: Basic Aspects (Pallab K. Ganguly and Guy R. Sherwood). Evaluation of Functional Status of Sympathetic System (Animesh Sahai and Pallab K. Ganguly). Levels of Catechols and the Clinical Assessment of Sympathoadrenal Activity (Davis S. Goldstein). The Contribution of Animal Models to Understanding Neuroadrenergic Responses to Heart Failure (Gordon L. Pierpont). Catecholamines and Congestive Heart Failure: Neuroendocrine Interactions (Gary S. Francis and Kenneth M. McDonald). Functional Status of the Sympathetic Nervous System in Cardiovascular Disease-The Role of Norepinephrine in the Production of Physiologic and Pathologic Hypertrophy (Michael M. Laks). Functional Status of Sympathetic System in Cardiovascular Diseases (Liane Will-Shahab and Bernd Schubert). Functional Status of the Cardiac Sympathetic System in Diabetes (Shawn C. Black and John H. McNeill). Central Control of Cardiac Hypertrophy (Nobby D. Woo, William A. Anderson, and Pallab K. Ganguly). Changes in Central Catecholaminergic Neuron in Cardiovascular Diseases (Bevyn Jarrott). Cardiac Adrenergic Receptors in Cardiovascular Diseases (Constantinos J. Limas and Catherine Limas). Sympathetic Nervous System Activity and Regulation of Cardiac Gene Expression (Heinz Rupp and Nobuakira Takeda). Stress, Catecholamines, and Heart Disease (Robert E. Beamish, Pawan K. Singal, and Pallab K. Ganguly). Catecholamines and Heart Disease: Status of Phospholipid Signaling Pathways (Johanna T.A. Meij and Vincenzo Panagia). Catecholamines and Heart Diseases: Possible Metabolic Interventions (Sujata Majumder, Pawan K. Singal, and Pallab K. Ganguly). Catecholamines and Cardiorenal Disease: Dopamine Receptor Agonists (Barry A. Berkowitz). Index. 304 pp., 7x10, 1991, ISBN 0-8493-5810-8.